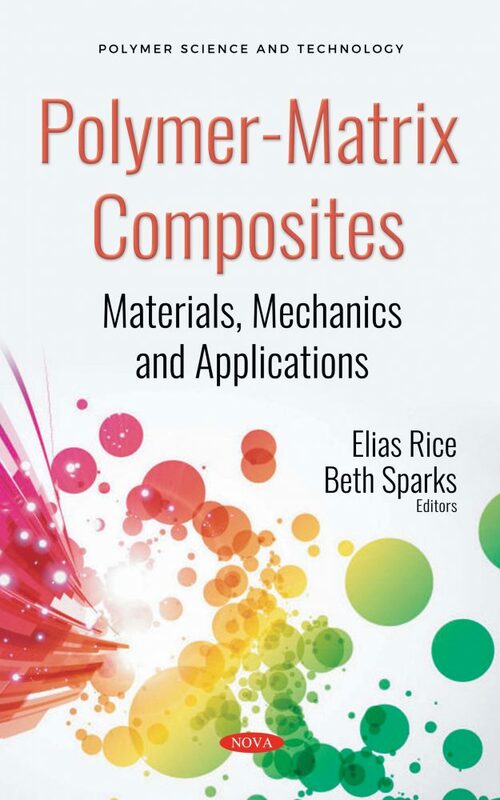 This books opens with an evaluation of the effects of the acid environment on sulfur-polymer matrix composite, with Portland cement-based composite chosen as a comparative material. Unlike conventional Portland cement-based composites, sulfur-polymer matrix composites are produced without water and achieve final strength in few days. Following this, the effects of electron beam irradiation on copper oxide added polymer matrix composite was investigated. Copper oxide added polymer matrix composite has been known for engineering applications that involving plastics moving parts to reduce friction. In a separate study, inorganic Montmorillonite nanofibers and organic cellulose nanofibers obtained through acid hydrolysis were simultaneously added to plasticized starch with defined CNF-to-MMT ratio and processed into nanocomposites by melt extrusion. The continuously isothermal aerobic ageing on samples was carried out by oven-heating at 60°C so as to investigate the organic nanofillers as an alternative to inorganic nanofillers. The authors also investigate the physico-mechanical characteristic of low density polyethylene (LDPE) and starch blends when undergone acid and alkaline attacks. In the following chapter, simulation of the temperature distribution in textile composite structures is achieved by utilizing an analytical-symbolic approach. Analytical heating solutions along each yarn provide accurate solutions with far fewer nodes than numerical solutions, and require the minimum number of symbolic network nodes. The final investigation was conducted to investigate the effects of copper (II) oxide (CuO) composition on the degradability of high density polyethylene/ethylene vinyl acetate (HDPE/EVA) blends. It was observed that both degree of crystallinity and crystallites sizes of the composited increased after the ageing operation.